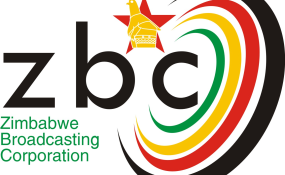 THE Zimbabwe Broadcasting Corporation (ZBC) has slapped its director of news and current affairs with a US$1 million lawsuit in a case related to financial irregularities unearthed back in 2014. Curiously however, Tazzen Mandizvidza continues to report for work at the public broadcaster's Pockets Hill head offices despite being accused of financially prejudicing the public broadcaster. NewZimbabwe.com understands that the information ministry is not involved in the move against Mandizvidza. Sources indicated that ZBC chief executive Patrick Mamvura revived the 2014 allegations in what may be an attempt to win favour with the new information minister Monica Mutsvangwa. Ordinarily, bosses at State media entities are shown the door whenever a new information minister comes into office. Mandizvidza was suspended 2014 pending disciplinary action together with other top executives for allegedly prejudicing the broadcaster of over $7 million. Other bosses also sent home included then CEO Happyson Muchechetere as well as Allan Chiweshe (general manager radio services), Elliot Kasu (general manger finance) and Ralph Nyambudzi (head of finance). Mandizvidza was conditionally re-hired by the public broadcaster after he reportedly turned informer against his co-accused. However, in papers now before the courts, ZBC argues that his debt was never cancelled. The broadcaster is seeking an order compelling him to pay $1 083 362,09 with interest. The 2014 suspensions of Mandizvidza and his fellow executives followed a forensic audit into the financial affairs of the corporation. Presented in Parliament by then information minister Jonathan Moyo, the audit showed that ZBC executives were drawing thousands of dollars in salaries and other benefits while ordinary workers were going for months without pay. "Allowances that were outside contracts included amenities and retention allowances that were paid to the executives from 2009 to 2013 as follows; Muchechetere $400,895,92, Mandizvidza $254,452,71, Chiweshe $292,376,10, Kasu $292,376,10," the report indicated. "At a time when ZBC was failing to pay its salaries between January 2013 and 31 December 2013, the top four management were withdrawing relatively significant amounts of money as salary advances as follows, Muchechetere $58,200, Kasu $50,985, Chiweshe $59,900, Mandizvidza $51,470,40 and Nyambudzi $64,947."